Ivanka Trump’s company has imported 53.5 tons of Chinese goods into the United States since the day her father Donald Trump became the president, according to an investigation conducted by Agence France-Presse. According to this investigative report, allegedly from November 8 to February 26, about 82 cargo items belonging to Ivanka’s company have passed through US customs. The items included about two tons of women's blouses made of polyester, 1,600 cowhide leather purses and a whopping 23 tons of shoes. All of these goods were produced in Chinese factories whose licenses belong to three American companies under Ivanka Trump: G-III, Mondani Handbags and Marc Fisher Footwear. This new revelation comes at a time when Ivanka is already facing backlash from protesters in the US. Earlier it was reported that the laborers at one of her factories in Dongguan in South China’s Guangdong province work around the clock to put together shoes that will be sold in the US. However, because of President Trump’s promise to bring manufacturing jobs back to the US, the productions of Ivanka’s shoes in China have come under a lot of scrutiny. 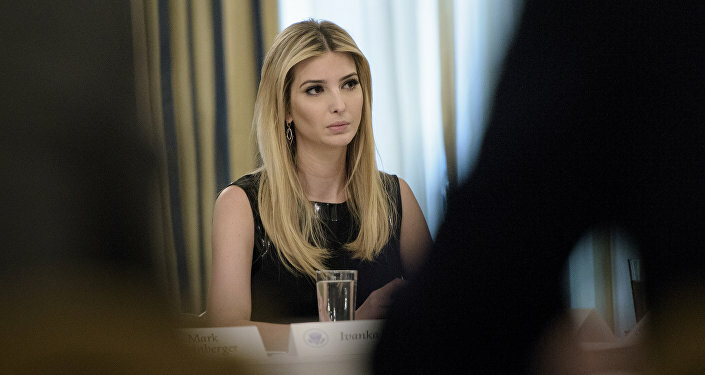 On October 24, a movement was launched in the United States which was aimed at boycotting the products of Ivanka’s companies as a sign of protest against the sexist statements made by her father earlier. The supporters of this boycott united under: #GrabYourWallet.